Item # 303425 Stash Points: 395 (?) This is the number of points you get in The Zumiez Stash for purchasing this item. Stash points are redeemable for exclusive rewards only available to Zumiez Stash members. To redeem your points check out the rewards catalog on thestash.zumiez.com. Stamp your board, binder or any other flat surfaced personal belonging with authentic Primitive styling with their new Dirty P Sticker. 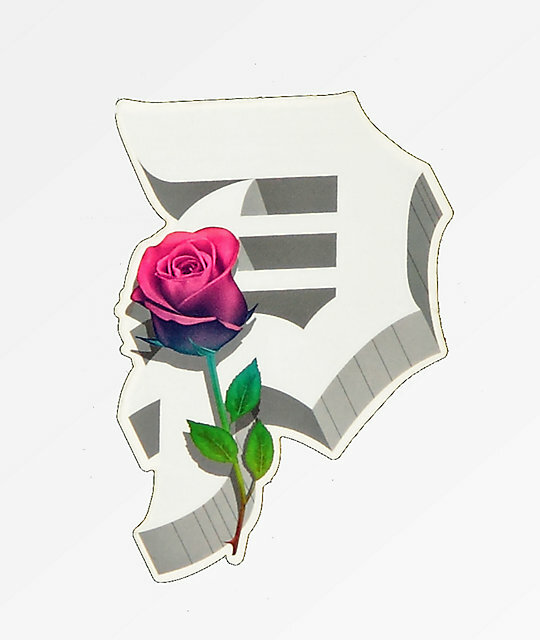 This peel and stick accessory features the brand's signature "Dirty P" logo accompanied by a single rose. Dirty P Sticker from Primitive. 2" x 3" | 5cm x 8cm approx. diameter.